When you visit Fort Lauderdale, be sure to leave plenty of time for sampling delicious cuisine at these unique restaurants. Many are set right on the water, letting you take in spectacular views while savoring your meal. From elegant restaurants to casual eateries, Fort Lauderdale offers couples plenty to choose from. The casual Pelican Landing restaurant offers open water views and serves delicious Florida cuisine as well as refreshing, tropical cocktails. Order the Bahamian Conch Fritters appetizer before diving into tasty eats like the Coriander & Fennel-Crusted Chicken Sandwich, Grilled Marinated Skirt Steak, or the Fish Tacos. 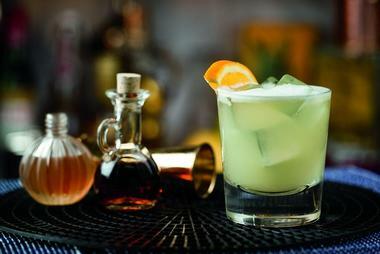 Wash it all down with a refreshing handcrafted cocktail like the Ginger Paloma. Relax in the boat-friendly atmosphere at Pelican Landing while Executive Chef Greg McGowan delights your taste buds. Pelican landing is located at the Hyatt Regency Resort & Hotel. Fort Lauderdale’s Coconuts restaurant offers waterfront dining and an inventive menu that is primarily composed of delicious seafood and comfort foods. Treat yourself to tasty dishes like the Lobster Roll, Jambalaya, or the Gravy Train (breaded pork loin medallions in home gravy). Stop in for Sunday brunch and try the seafood quiche. Indulge in their sangria or choose something from their impressive wine list. Coconuts has been a local favorite since 1980 and is owned and operated by thriving restaurateur Elliot Wolf and his restaurant group. You will find this classic eatery on Intracoastal Waterway, just steps away from the famous Strip. 3030 Ocean, established in 2015, is a chic, oceanfront dinner bistro that serves unbelievable Modern American Seafood. Treat yourself to exquisitely prepared dishes like Hogfish Ceviche, Sautéed Florida Flounder, or Hickory Rubbed Palmetto Creek Pork Chop. Don’t miss their classic succotash. A Chef’s Five-Course Tasting Menu is also available, as is delicious wine pairing. Food Network’s “Chopped” champion and South Florida native Executive Chef Adrienne Grenier is the mastermind behind these fantastic culinary creations. Enjoy an intimate, candle-lit dinner at this great eatery, located at the Harbor Beach Marriott Resort & Spa in Fort Lauderdale. The landmark Timpano Chophouse serves classic Italian chophouse cuisine in a setting reminiscent of a Chicago supper club. Start your meal off with the Fire-Roasted Meatballs appetizer before diving into other fantastic eats like the Bone-In Ribeye, Eggplant-Pine Nut Ragout & Spinach Cannelloni, or the Osso Bucco. Wine, beer, spirits, and cocktails are also available. The Starlight Lounge, their in-house bar, features live music every Friday and Saturday night. Executive Chef Tim Hmay is the mastermind behind Timpano’s culinary creations. Open since 1999, this iconic eatery is situated in downtown Fort Lauderdale close to the Historic Stranahan House Museum. Fort Lauderdale’s Dolce Salato will wow your taste buds with their authentic Italian pizza, gelato, and espresso. Dive into an incredible Parmigiana Pizza with eggplant, a Biancaneve White Pizza, a Philly Cheese Steak Stuffed Pie, or a Soppressata Panini. Save room for a scoop of Tiramisu gelato. Northern Italy natives Leonardo and Silvia Baldi opened Dolce Salato in 2015, their third restaurant venture since immigrating to South Florida in 2002. This charming eatery is the perfect place for a quick slice, dinner with friends, or date night. You will find it nestled in the heart of the Wilton Manors neighborhood. The folks at Green Bar and Kitchen do not like to call their place “vegan” as they prefer the term “plant-based,” and for the last four years they have been showing the people in Fort Lauderdale that plant-based does not mean boring. They have fairly large menu of burgers (their GBK Deluxe Burger is made with brown rice, chickpeas, quinoa, and sunflower seeds), bowls, salads, wraps, and much more, and all are meat-free, often gluten-free, and delicious. They work with a vegan baker and vegan butcher to prepare foods for their restaurant and constantly keep coming up with new mixes and ingredients. While their restaurant is bright and pleasant, many customers also order take-out or shop online. Asia Bay Bistro is a chic, contemporary restaurant that serves incredible Japanese-Thai fusion cuisine. It even comes highly recommended by Alec Baldwin! Savor expertly prepared eats like the Toro Jalapeno Sashimi, Chicken Katsu, Yakisoba, or the Massaman Curry. Enjoy the stunning view of the Himmarshee Canal from the outdoor tables as you sip on a tasty, refreshing “Saketini.” Executive Chef Peter Hepp and restaurateur brothers Leon and Joshua Brill opened the Fort Lauderdale site (the restaurant’s second location) in 2010. Enjoy a rave-worthy meal at this trendy, sophisticated eatery located just a few blocks west of Bal Harbour Shops. The hip, award-winning Coco Asian Bistro serves unbelievable Asian fusion cuisine in a classy, upscale environment. Savor exquisitely prepared dishes such as the Tuna Tataki, Southern Thai Curry Beef Short Rib, Crispy Duck, or the Eel Lover Roll. Vegetarian and gluten-free options are also available. Wash it all down with a creative, handcrafted cocktail from the elegant full bar. Thailand-born owner Executive Chef Mike Ponluang opened this posh eatery in 2006 and today brings his intense passion for Asian foods to its kitchen. Indulge in the exotic flavors of Coco Asian Bistro, situated in the heart of Fort Lauderdale’s Harbordale neighborhood. The award-winning Red Cow restaurant, which serves some of the best barbeque in Fort Lauderdale, is a local favorite. Your taste buds will appreciate incredible, savory dishes like the Pork Spare Ribs, Creole BBQ Shrimp, or the Gobbler Club Sandwich (Applewood smoked turkey with a bacon jam). Or stop in early for brunch and try the Sunrise Arepa. An enticing wine list is also available. Thriving local restaurateur Elliot Wolf and his restaurant group opened Red Cow in 2013 and also own Coconuts and Foxy Brown. Red Cow is nestled between Laudergate Isles and Sunrise Key. If you are looking for some of the best, authentic Italian cuisine, you will want to pay a visit to Serafina. Start off with the Melenzane alla Milanese appetizer before moving on to amazing dishes like Granchio Fra Diavolo, Funghi Di Bosco Risotto, or Osso Bucco D’angello. An exquisite wine list is also available. Enjoy your meal on the terrace overlooking the beautiful Middle River. Owners and Chicago natives Vicki and Mickey Annecca took over Serafina in 2009 and have brought in Italian-born Chefs Fabiano Lazzari and Fiovanni Filippone. 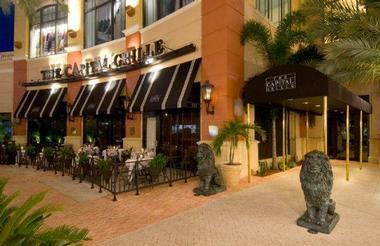 Enjoy a romantic meal at this sophisticated eatery located in Fort Lauderdale’s Victoria Park. Fort Lauderdale’s popular Tacocraft is a “semi-authentic” taco joint and tequila bar that uses local, seasonal, and sustainable ingredients. Their tortillas are handcrafted, made from a recipe passed down through generations. Treat yourself to amazing eats like the Prime Ribeye Carne Asada Taco, Rok: Shrimp Taco, Crispy Shredded Pork Taco, or a Giant Burrito. Alternatively, stop in for brunch and try the Huevos Diablos. Beer, wine, handcrafted margaritas, and a full bar are also available. Jey Hospitality Group partnered with restaurateur Chuck Bergwin to open Tacocraft in 2015. Mexico native Executive Chef Jaime Diaz leads the kitchen. Visit Tacocraft in the historic Himmarshee Village. 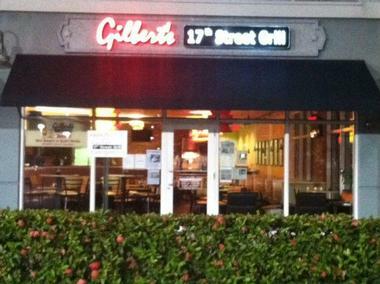 Gilbert’s 17th Street Grill is renowned for its juicy burgers and delicious classic American fare. Savor tasty, passionately prepared dishes like Grilled Spicy Salmon with Cambodian Slaw, The Godfather Burger, or the Babyback Ribs. Save room for some of the best key lime pie you’ve ever had! Owners Bob and Lenore Gilbert opened Gilbert’s 17th Street Grill a decade ago. They have over forty years of experience in the service industry and have owned several restaurants. You can’t go wrong with the scrumptious, down-home cooking at their charming eatery located at the Harbor Shops between Lauderdale Harbors and Port Everglades. Market 17 specializes in organic, farm-to-table fare, with everything made fresh from scratch daily. Savor extraordinary dishes such as the Grilled Florida Swordfish, Grilled Emu Filet, Sweet Tea Brined Pork Loin, or Togorashi Rare Seared Florida Wahoo. Their wine list is out of this world. Brother and sister sommelier team Krista and Aaron Grauberger opened Market 17 in 2010. They’ve brought in Executive chef Lauren DeShields to lead the culinary creations. 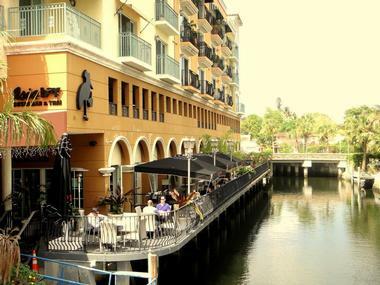 Enjoy a friendly lunch or a chic date night at this sophisticated eatery, located next to the Convention Center in the Portside Yachting Center. 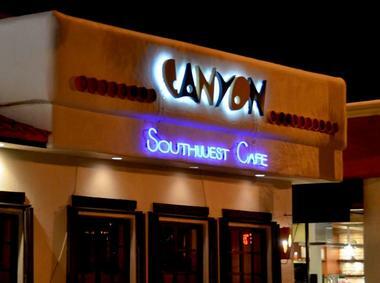 Canyon serves a type of Southwestern fusion and innovative Tex/Mex cuisine with global influences. Dive into meticulously prepared eats like the Smoked Salmon Tostada, Masala-Dusted Venison Medallions, or the Brie & Wild Mushroom Quesadilla. Wash it all down with a refreshing Prickly Pear Margarita and save room for their famous Chocolate Bread Pudding! Owners Executive Chef Chris Wilber and Italian-born restaurateurs Mario Di Leo and his father Tony Di Leo came together to open Canyon in 1995. Wilber is constantly tantalizing taste buds with new creations at this posh eatery nestled between Laudergate Isles and Sunrise Key. If you’re in the mood for something exotic, you will want to check out Fort Lauderdale’s chic and delicious Chima Brazilian Steakhouse. Savor exquisitely prepared churrasco meats offered by the handsome, roaming gauchos at your service. There are over fifteen types of meat to choose from, including top sirloin, filet, ribs, lamb, pork, chicken, sausage, and fish. 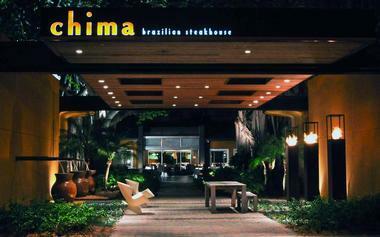 The Silva family (from Brazil) introduced Chima Brazilian Steakhouse to Fort Lauderdale in 2004. They named it after a traditional drink from Rio Grande do Sul called Chimarrao. Your senses will be tantalized with a chic dining experience at Chima, located in East Fort Lauderdale. The Capital Grille is one of the most elegant restaurants in Fort Lauderdale, serving extraordinary classic American fare made from exceptional ingredients, resulting artfully prepared cuisine. You can’t go wrong with amazing dishes like the Kona Crusted Wagyu Burger with Shalot Mayo, Seared Tenderloin with Butter Poached Lobster Tail, or the Double-Cut Lamb Rib Chops. Indulge in their impressive and extensive wine list or choose something from the full bar. The sophisticated Capital Grille first opened in 1990 in Providence, Rhode Island and has since expanded to multiple locations nationally. The Fort Lauderdale branch is located close to Central Beach and Sunrise Key. 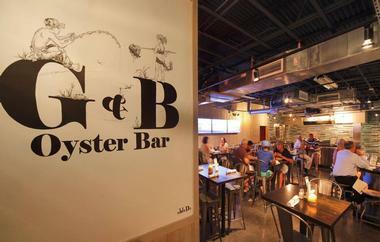 For some of the best seafood Fort Lauderdale has to offer, you need to pay a visit to the sleek, upscale G & B Oyster Bar. Treat yourself to incredible savory dishes like Oyster & Andouille Gumbo, Philly Lobster Cheese Steak, Braised Octopus Medley, or Crab Empanadas. Enjoy the beautiful waterfront views as you sip on a selection from their thoughtful beer and wine list. Renowned restaurateur Elliot Wolf and his hospitality group opened G & B Oyster Bar in 2012. Relax in the ocean breeze at this chic seafood eatery, located on the Intracoastal Waterway just steps from the famous Strip. The exquisite, award-winning Truluck’s offers some of the most elegant steak and seafood dining available in Fort Lauderdale – all made from the finest, sustainable ingredients. 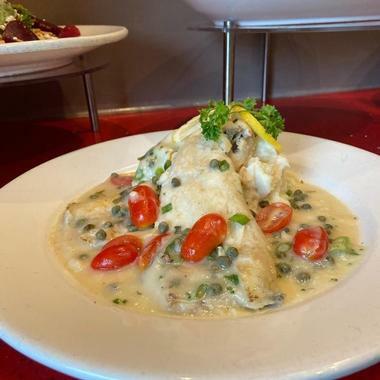 Indulge in expertly prepared dishes such as the Grouper Pontchartrain, Viking Village Sea Scallops, the Dynamite Filet, or the juicy New York Strip. A gluten-free menu is also available, as is a fabulous wine list. Executive Chef Andre Webley’s culinary creations never fail to tantalize your taste buds. Truluck’s was originally founded in 1992 by Patti Starner and Stuart Sargent and now has multiple locations nationally. 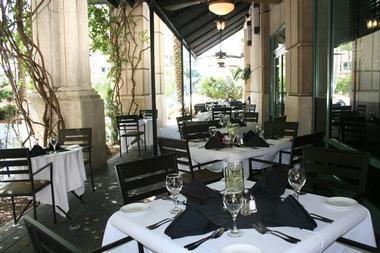 Enjoy Truluck’s at the Galleria at Fort Lauderdale. Fort Lauderdale’s La Dolce Vita Ristorante Italiano serves authentic Northern Italian cuisine made from the finest ingredients. Treat yourself to delicious, expertly prepared dishes like Gnocchi Tartufo & Salame Picante, Pollo in Crosta di Mostarda, or Tagliata di Manzo. Don’t miss their all-Italian wine list. 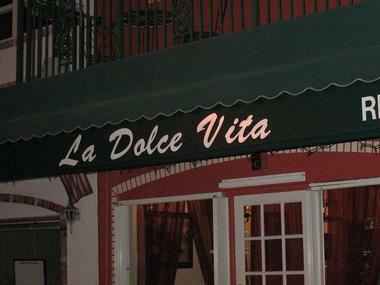 Italian-born friends and owners Chef Renato Polidori, Christian D’Amore, and Fabio Brun came together to open La Dolce Vita in 2011. The restaurant is named for the famed Fellini film of the same name. This welcoming eatery is located in the center of Fort Lauderdale’s historic shopping & arts district close to the Ocean Sky Hotel & Resort. 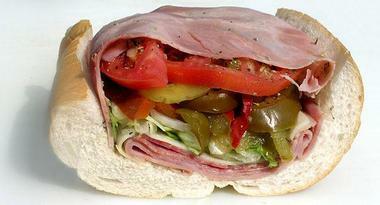 LaSpada’s Original Hoagies is an old school sub shop serving extra-large, made-to-order sandwiches. Specialties like the Ham, Cheese & Cappicola, The Monster (ham, cheese, roast beef, and turkey), or the hot Meatball Marinara sub are sure to delight. Watch the special hoagie-making skills of the LaSpada’s staff as they do their famous “meat toss” to fill your sub with all of its yummy goodness. Owners Gale and Harry Kappes opened the first LaSpada’s in 1973. They opened the Fort Lauderdale location in 2011. You can find it in Harbordale close to the Art Institute of Fort Lauderdale and the Convention Center. 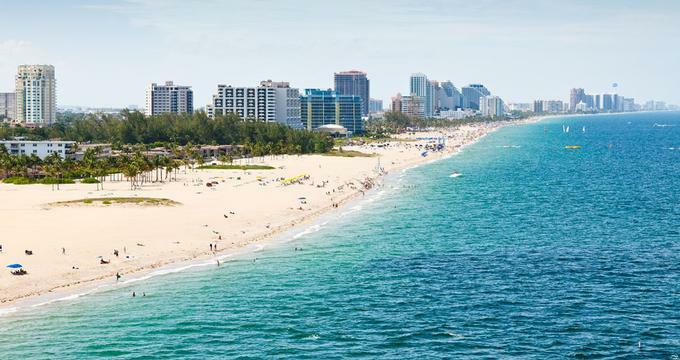 For an upscale downtown Fort Lauderdale hotel like Ritz Carlton, Burlock Coast Seafare and Spirits is fairly unpretentious, but you cannot beat the view and the menu is inspired. With a spacious indoor and outdoor dining space and a bar that overlooks the beach, this place is always buzzing with activity, whether guests are just here for their large and famous rum cocktails or for their fresh seafood and salads and farm-sourced meats. Open for breakfast, brunch, lunch, and dinner, it is the brunch that draws most locals and hotel guests. The offer of four drinks in unlimited quantities for a fixed price surely helps, but Chef de Cuisine Gavin Pera also treats the locally sourced ingredients with respect and imagination. Try their fried oysters with pickled peppers, chorizo, and remoulade or go for the fantastic raw bar. You can also pick up lunch or snacks from their artisanal market to take to the beach.